Alabama, Arkansas, Florida, Georgia, Kentucky, Louisiana, Mississippi, North Carolina, Oklahoma, Tennessee, Texas, South Carolina, and Virginia. All wines are judged blind, served in a certified tasting glass at the appropriate temperature, and ranked with the industry standard 20-point scale. 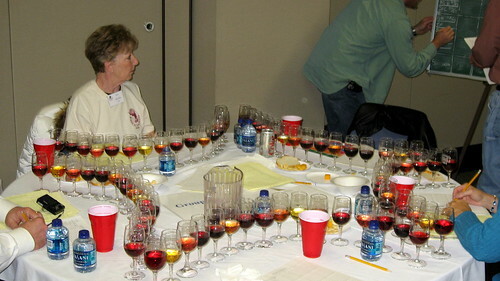 The judges were split into groups of 5 and we each had to taste, in total, a little over 100 wines. The flights were anywhere from three wines on up to flights of 24 wines. 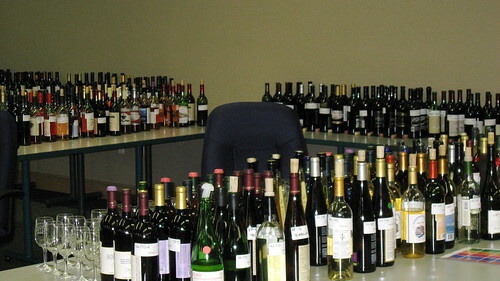 Wine judging, while fun, is actually a pretty hard business. At the end of the day, everyone pretty much wants a beer. (Read about my first experience judging.) You do get palate fatigue and no, you don’t get drunk. There’s a lot of spitting going on. I used to think I’d never judge wine professionally, but I learn so much each time that I don’t ever want to stop. Now, because these are the Wines of the South, we tasted more than vinifera. Vinifera is your standard cabernet sauvignon, chardonnay, etc, that you can find in your local wine shop. We also got to taste domestic grapes (often French-American hybrids) and fruit wines. 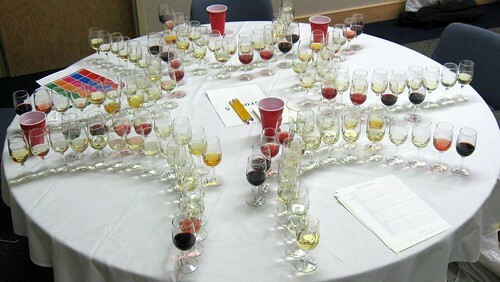 My table got to taste over 60 muscadine wines, both white and red. foxy. I often say foxy when what I really want to say is "grapey." and a healthy serving of resveratrol, which has heart benefits. I do believe that was affected by the flight order. South again in a heartbeat. View all our Knoxville photos on Flickr. do you remember what if any Virginia wines you tasted? I have never been a fan of muscadine wine. It is both foxy and grapeee and not too much else. But obviously people like it, people in the south do like their sweet wine. John: We tasted the wines blind, and since there were over 400, I have no idea which ones we tasted. We did bring a tannat port home with us – Snort Port from The Winery at LaGrange in Haymarket, VA. I can’t say I came out of this a fan of muscadine, but at least I can say I’ve tried it! Eric: I’m not 100% sure on the winners (again, so many wines) although I have a general idea, but they are all announced in February in Nashville. Since I don’t know if the wineries are notified before then, I don’t want to announce the winners. You can follow along at the web site at http://www.winesofthesouth.com. 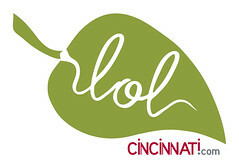 This is just a test of the new commenting system.